While the fees, sales and my promo is bigger than your promo claims that are the battle of the OTAs in the US has ramifications for the state of the industry going into the second decade of the 21st century, I continue to be most excited by the innovation coming out of travel discovery and inspiration sites. Sites set up to help customers answer the open-ended question “where do I go next”. A question that is only now being asked of the online travel industry on Google, Twitter, Facebook and elsewhere. The sites that are at the forefront of data analysis and projections in line with my EveryYou concept of using the technology and social transformation in front of us to develop a specific and targeted recommendation of one based on the unique combination of desires, needs and interests of each individual at any moment in time. I have already done a number of profiles in this area including one of the Budapest based Joobili (pronounced Jubilee). Now I have had a chance to spend time over skype with Jared Salter the founder and CEO of Joobili to hear about his experiences in founding a online travel company in Europe, on time based travel inspiration, on the balance between pre search information requesting and post search refinement and the rights and wrongs of attending a Swiss turnip festival. In short Joobili is a time based travel search, discovery and inspiration engine. At the entry screen you select the date range you are interesting in travelling on and Joobili replies with a list of festivals, activities, events and time based entertainment that are on during that time period. Options for refinement are then presented to help narrow down the list to a short list of trips. Joobili starts with the question “when do you want to go?” rather the standard OTA question “where do you want to go?”. As with other interviews, this is best suited to a two part blog post. In the first part we will talk about the set up of the company especially raising money in and running a business from Europe. Then in part two I will share our discussions on the functionality of Joobili and the travel and inspiration market/industry. The interesting summary of part one of this interview is that Jared and his partner Tamas Gabor managed to raise seed money for an Eastern European based company without a prototype. They had a business plan and powerpoint that so impressed or struck the Swiss born Esther Dyson that she gave money without a working site and despite the possible challenges of monitoring a business off the beaten track (VC wise). BOOT: Where did the idea come from? Do you have a history in tech or travel? Jared from Joobili: I moved to Budapest from a corporate job in San Francisco to do an MBA. There I met my co-founder of Joobili Tamas Gabor. It was his idea to look at calendar based travels. Other sites start with the destination. We spent the first few months scouring the internet but could not find anyone doing calendar search. We built the initial business case during the MBA. The product took off when we secured funding. BOOT: At what point did you decided to seek funding? Had you built a proto-type yet or did you manage to get funding off the back of a powerpoint deck and business plan? Jared from Joobili: It is different for each entrepreneur but as neither of us had a tech background we had to raise money with just a business plan. Which was tough. But we needed money to build a beta site. BOOT: Europe is not famous for lending money on a ppt only. Traditionally Euro VCs want to see something built, if fact more often than not they are looking for series B work. Did you have to go to America to get angel funding with nothing built. Jared from Joobili: Yes Had been going after a lot of different Euro investors and VCs. We were lucky that Ester Dyson (investor in Orbitz, Flickr, Delicious, Dopplr and more) was coming to Budapest as part of some Euro boards that she was on. We got a meeting with her to show her our detailed plans and forecasts. It ended up being just a one hour but she committed. “This is something that belongs on the web” was her quote. BOOT: Budapest is not the first place that springs to mind when I think of online travel and tech innovation. What has it been like trying to run a business from Budapest? Jared from Joobili: From a standpoint of travel and start up it is a bad thing- as you miss out on the networking opportunities. So we do frequent trips to London. Last September we were involved in Seedcamp – one of only two travel companies. This month I will be at WTM so we get out as much as we can. That said there is a reason we started here and I would do it again. It is very cost efficient to develop technology here. There are some talented developers in Budapest. Given the amount of seed capital we raised, we would never able to build this business in San Francisco or London. BOOT: Are you looking for more funding? Jared from Joobili Fair to say that any start-up is always on the hunt for more money to develop new features. The list of features we want to build is longer than we can afford. And this is a tough market, especially for the discovery part of travel as it is the least tapped space of the travel process. 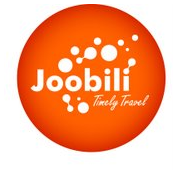 In part two we will talk about the Joobili business model and travel discovery and inspiration business. I think the business of Online Travel is one of the best. This blog is very memorable. These services are very important for travel agents. This is your first post, that's great. This information provides many travel discoveries, business model and inspiration business etc. Great idea of Online business!! !